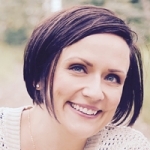 Shannon Kane is a Registered Social Worker in Calgary, Alberta. She earned her Master’s degree of Social Work at the University of Calgary. Shannon is an EMDR trained therapist, and her work is focused on using psychotherapy to support people who have experienced birth trauma and prenatal/postpartum mental health. She has worked in the area of perinatal mental health and trauma for the past 12 years in settings including: a school for young mothers, outreach mental health, women’s shelters, mental health clinics and now runs a private practice which you can find here: www.birthnarratives.ca. Shannon is passionate about supporting families during the childbearing years and keeps busy with her 2 young boys. Psychological birth trauma is a significant mental health concern to consider when working with perinatal families. Research shows up to 45% of people report they experience some degree of psychological trauma during childbirth. We now know that having a healthy baby is not enough and in my practice I continually hear: “I was grateful and I was traumatized.” This presentation prepares practitioners to know the causes of birth trauma, the symptoms to look out for, recognize how trauma differs from depression and ideas for treatment, including information about EMDR therapy as a treatment. Resources for continued learning will be shared.